Review by Galen of Halifax, Nova Scotia, Canada. With 6 elements this EP nails it. Good color, contrast, eye relief. 55 degree is just fine and crisp. Bang on design. Sun fills the scope in f/6 8" dob. Clearly superior to Celestron X-Cel. Next step up would be a Baader Hyperion. When I took this eyepiece out of the box, I was awed by how large and heavy it was. The first thing that came to my mind was... this is no EP for small telescopes. When I used it the first time, the first thing that I immediately noticed was that the planet or star was there, and then it wasn't, and then it was there, and then it wasn't. It was at that point that I realized that what I was seeing was what is often referred to as the "kidney bean effect." I call it the "rolling black-out effect." The image itself was sharp, but keeping it in view was difficult and very annoying. I tried using it again and again, thinking it was just me not being used to it. But it never got any better. This is why I checked the block beside "Poor Lens Quality." Even though the object was sharp, something about the lens made it difficult to keep the object in view. I finally stopped using the eyepiece altogether. Review by asttro1 of Lewisburg, TN. Review by APOLLO13 of New Mexico. Wow, had this eyepiece out tonite in a 9.25xlt f/10. And I am very impressed. The sharpness edge to edge, no false color, very good eye relief, coatings are very good, no ghosting or flares at all. I compared it to a TV 20mm and its very close to call. DSO's m101, m42 and Saturn were the objects for the nights review. All objects were cleanly seen and framed very well. And for half the price, it's a keeper for me. 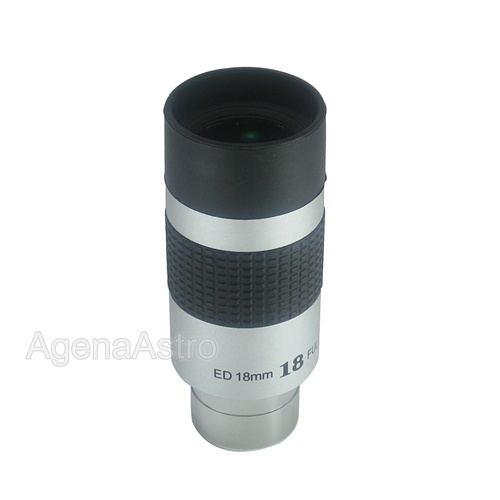 Amazing how this eyepiece is very well built and quality just looks great.